Create masks, props, models and more with this quick and easy modeling material. This roll of gauze cloth infused with plaster can be used for a variety of modeling techniques. Simply add water, then shape. Cover any form, including faces, and plaster wrap captures the shape. Make the surface smooth or add ridges, folds, texture and details. 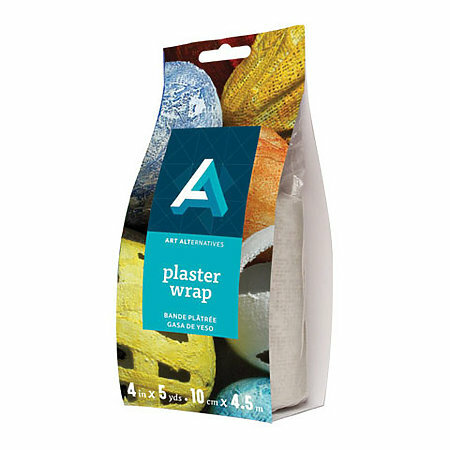 Plaster Wrap hardens in under 30 minutes, and the hardened surface can be sanded, painted or embellished with any medium or finish. Detailed instructions for use are included. Non-toxic.